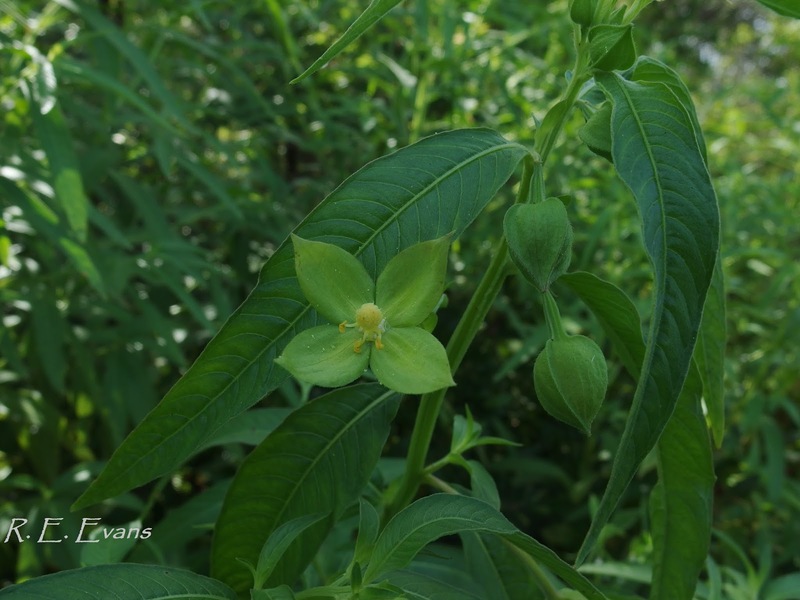 NC Plant Conservation & Beyond: Oh Dread! Another Naturalized Exotic Plant? Oh Dread! Another Naturalized Exotic Plant? Driving down the highway along the Northeast Cape Fear River near Wilmington recently, I caught a glimpse of the plants shown above. 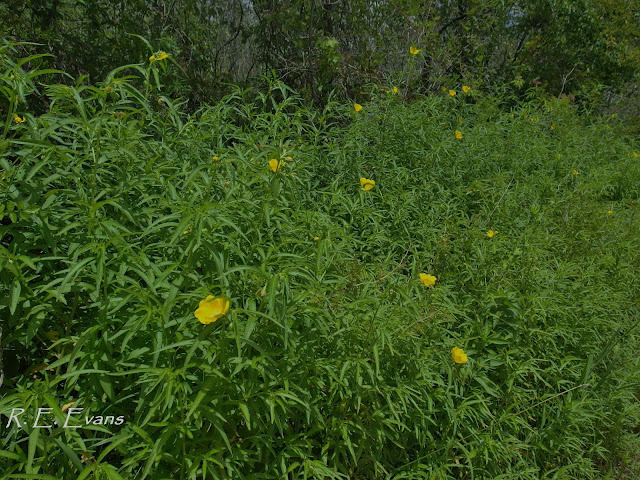 The 5-6' tall plants with bright yellow flowers were unfamiliar so I risked life and limb and pulled a U-turn on the heavily traveled road to take a closer look. The plants were incredibly attractive and intriguing. 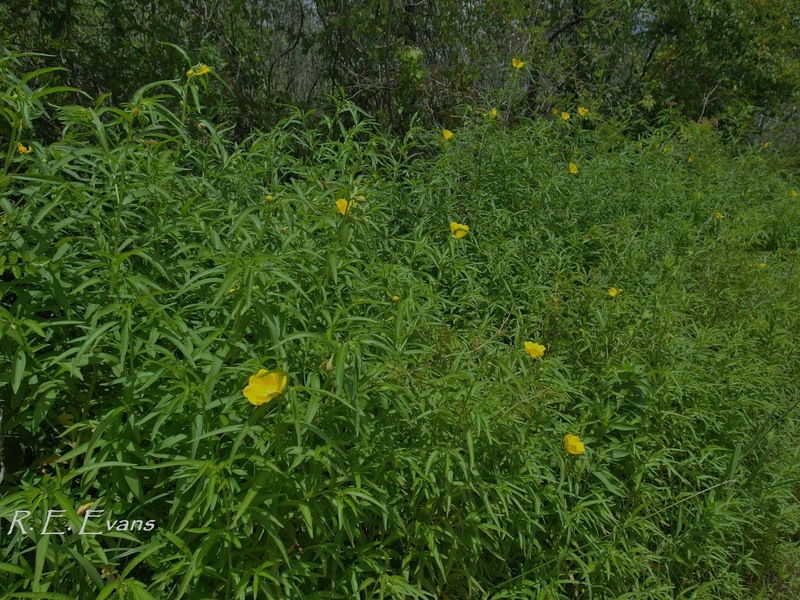 I concluded they were most likely Ludwigia bonariensis. 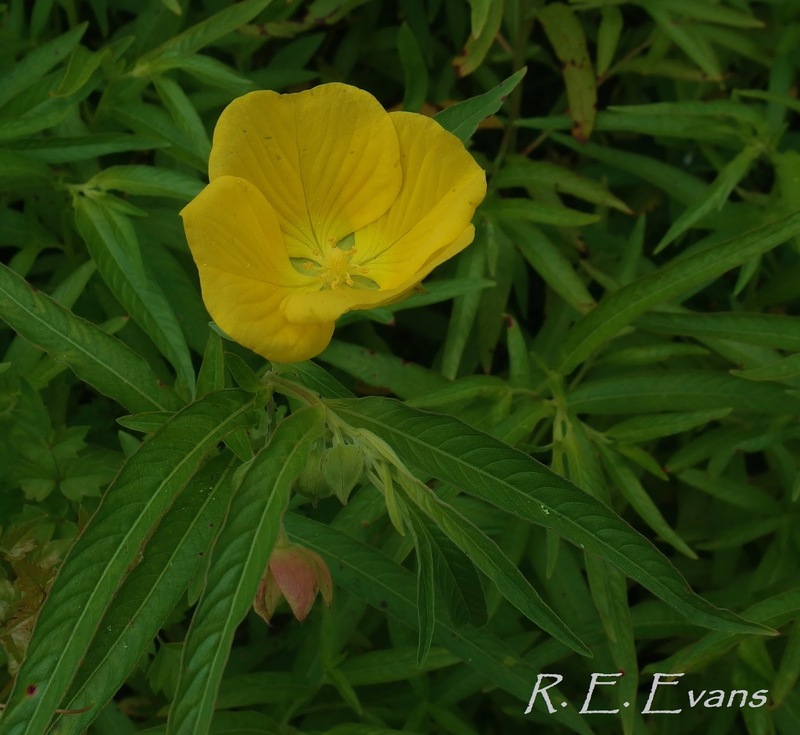 I was excited by the comment in the Manual of Vascular Flora of the Carolinas which listed it as "very local; Brunswick and New Hanover cos." --- this thing was rare! But then I got confused! A later check of Godfrey & Wooten (Aquatic & Wetland Plants of the Southeastern United States) listed it as "Local, s.e. N.C.; Fla." but added, "native of Trop. Am." --- this thing was exotic! Weakley's Flora stated it is "apparently native of tropical America" and suggested it may have been introduced on ship's ballast, while noting our plants appear to differ somewhat from specimens elsewhere. NatureServe considers it exotic in NC, SC, and AL, but lists it as "critically imperiled" in Arkansas. Also of interest is the common name used by NatureServe; "Carolina Seedbox" - an odd name for something from the tropics. USDA Plants lists it as native in NC, SC, AL, and FL and doesn't record it all from Arkansas. IF ANYONE CAN SHED LIGHT ON EITHER THE TAXONOMY OR NATIVE DISTRIBUTION OF THIS SPECIES IT WOULD BE APPRECIATED! you should key this again. it goes to L. octovalvis for me... known from Brunswick and New Hanover in USDA plants. L. bonariensis should be lower and shinier... but i think you are correct - its nativity is disputed! oops - this may be L. bonariensis! not sure... i was thinking of L. peploides! octovalvis vs bonariensis is Weakley's key is a bit smaller.....the petals on these were mainly >3 cm. didn't measure the sepals so they could be intermediate in size?? If you want to enhance the beauty of your garden, choose from the wide variety of fauna offered by our exotic plant nursery Sussex. We at Athelas Plants have created a name for offering the widest range of shrubs, trees and grasses and other plants to suit your individual requirements and preferences.